The greatly respected antitrust practice of Asters law firm is evidently regarded a top-strong team in the country. Its scope covers the full spectrum of competition matters, while the firm retains the lion’s share of merger control work on the market. Throughout 2014 the team acted for Actavis PLC and Allergan Inc. in EUR 53 billion acquisition of Allergan Inc by Actavis PLC; obtained merger and antitrust clearances for a three-part inter-conditional transaction between GlaxoSmithKline Plc and Novartis AG; obtained merger clearances for concentration and concerted actions in connection with the acquisition by Monster of Coca-Cola’s energy drinks under the brands of NOS, Full Throttle, Burn and Mother. Asters enjoys a strong presence in the major investigation mandates on the Ukrainian market. Some significant clients are AC Nielsen, GE, Cisco Systems, Bayer AG, GDF Suez, Philip Morris, Publicis Groupe S.A., Alstom, Nestlé S.A., GlaxoSmithKline plc and others. For many years Igor Svechkar has been regarded as a top Ukrainian competition lawyer. Alexey Pustovit and Oleksandr Voznyuk are the leading names in the team. Sayenko Kharenko’s competition practice is among the most experienced in the market. In 2014 the team, as led by partner Vladimir Sayenko and counsel Dmitry Taranyk, handled over 100 merger and non-compete filings with the Ukrainian competition authority for cross-border M&A deals. Moreover, the firm’s lawyers advised, in close cooperation with private wealth management lawyers, on Ukrainian competition law matters arising from the establishing and structuring of trusts. The key highlights included advice on Ukrainian competition law issues related to the USD 54.7 billion acquisition of Shire by AbbVie; USD 28 billion acquisition of Forest Laboratories by Actavis. The caseload of representations on cartel, abuse of dominance and unfair competition issues include a wide range of international and local businesses in pharmaceutical, tobacco, consumer goods, retail, alcohol, and other industries. In 2014, the competition team was boosted by a well-known practitioner, partner Oleksandr Padalka, who has specific expertise in unfair competition cases. The core competition team members also include senior associates Maksym Nazarenko and Valentyna Hvozd. Extensive abilities on CIS mandates distinguish AstapovLawyers international law group in the legal market. The dedicated team is a regular counsel on competition law investigations, including CIS-representation, distribution and unfair competition, merger control, abuse of dominance matters. Recently the team advised British American Tobacco on Ukrainian competition law investigation of the tobacco industry; advised Bel Shostka Ukraine, on distribution matters and unfair competition in Ukraine; represented Chiquita Brands International and Fyffes plc in their merger for creating the world’s biggest banana company. With her multijurisdictional competition law expertise in countries of the post-Soviet dimension, Antonina Yaholnyk 1, partner and head of CIS competition and compliance practice, is universally regarded as one of the top competition lawyers in the country. She has been nominated by the Prime Minister of Ukraine to head the Antimonopoly Committee of Ukraine (AMCU). Kateryna Tkachenko and Bohdan Dmukhovskyy, senior associates, are key individuals of the team. The well-versed antitrustand competition practice of Arzinger excels for its industrial approach and is especially active in the pharmaceutical, FMCG, retail, banking and insurance, real estate and other sectors. The diverse offering encompasses merger control, unfair competition, representation in the AMCU investigations, appealing AMCU decisions, compliance of commercial activities. The 16-lawyer team confirms its strong engagement into investigations initiated by the Ukrainian competition authority. For example, Arzinger participates in the investigations on the pharmaceutical market and shows a significant track record of unfair competition matters. Among recent work highlights is advising an international financial institution in establishing a joint venture with a leading French group in agriculture; clearance for acquisition of Kinopoisk by Yandex group. Sergiy Shklyar2,head of practice, is particularly known for his deep expertise in unfair competition. Partners Timur Bondaryev and Lana Sinichkina are highly esteemed for their industry specific expertise. Natalia Ivanytska, senior associate, was active in recent practice development. Established in August 2014 AEQUO has already grown its reputation thanks to its competition team from Vasil Kisil & Partners. The new firm enjoys an impressive client roster of top international and domestic names, giving advice on merger clearance issues, abuse of dominance, unfair competition, compliance. Throughout last year the team was vivid in sound investigations of the AMCU. The firm’s latest highlights included antitrust coverage in representing Syniverse in the acquisition of shares of Aicent Inc.; representing Apollo Global Management in the establishment of a joint venture with 21st Century Fox; advising Novus, one of the leading Ukrainian food retailers on compliance with the requirements of Ukrainian antitrust laws. The practice head Mariya Nizhnik, partner, is endorsed by peers for long-standing and versatile experience. 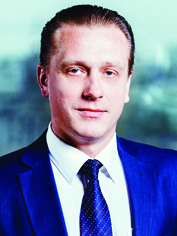 Denis Lysenko, head of corporate and M&A, managing partner, is also known for his general expertise. Sergey Denisenko received references during the poll. In 2014 DLA Piper Ukraine competition practice headed by Galyna Zagorodniuk continued to be highly active providing legal services to its local and international clients. In particular, the team has successfully obtained a number of merger clearance and concerted practices permits (e.g. for Starwood Hotels and Resorts, Discovery Communications LLC, Ferrero, China Shipping Terminal Developments, etc. ), and also represented a number of clients during investigations performed by the AMCU, participated in hearings and meetings involving other state authorities along with the AMCU. The office also continued to advise clients on unfair competition issues, vertical arrangements and abuse of dominance. Gide Loyrette Nouel retains steady involvement in competition and antitrust matters. The Kiev office headed regularly handles merger control submissions to the AMCU, including those managed through Gide’s offices in other countries. The recent example was advising State Grid Corporation of China (SGCC) in the acquisition of a 35% stake in Italian energy-grid holding company CDP Reti S.p.A. SGCC; representing OpenGate Capital, a global private investment fund specializing in acquisition of Benvic, a leading PVC compounder, from Solvay S.A. The current workload was boosted with competition compliance in commercial practice of a large number of international clients, in particular distribution and agency agreements. For example, the team advises the Ukrainian subsidiary of Bongrain, the world’s leader in the production of dairy products, on competition law compliance in commercialization of products in Ukraine. The strong practice of Oleg Akhtyrskyi is highly esteemed by market sources. 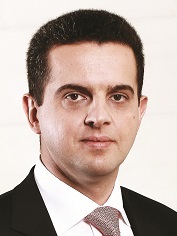 The workload of Vasil Kisil & Partners covered a wide range of issues, inter alia, obtaining necessary permits for economic concentration and concerted practices, corporate structures review from antitrust considerations, regulatory advice and legal support during inspections of competition authorities. Till August 2014 the practice team was led by Mariya Nizhnik. Among the firm’s recent highlights is advising Schneider Electric S.A.on Ukrainian merger control regulations related to acquisition of shares in Invensys plc. The practice is led by partner Alexander Borodkin, with key contribution from Anna Sisetska, counselor. The Kiev office of Baker & McKenzie keeps the position of the firm to go formajor big multinational public and private companies with respect to merger control, vertical restraints, unfair competition, competition aspects of IPOs, private placements, and corporate formations. The team is experienced in advising the pharma sector, as well as consumer goods companies on the implications of various vertical arrangements with Ukrainian customers. Among others, in 2014 the local practice group advised ArcelorMittal USA, Nippon Steel & Sumitomo Metal Corporation and ThyssenKrupp Steel USA in connection with obtaining several AMCU approvals for a USD 1.55 billion deal related to acquisition by Arcelor and Nippon of ThyssenKrupp Steel USA. Since December 2012 the competition practice group is headed by partner Oksana Simonova. The well-regarded antitrust practice of CMS Cameron McKenna has a strong following of international majors from the oil and gas, IT, transport, agricultural and financial sectors. The Kiev team is regularly attracted for handling merger control work, structuring transactions from the antitrust perspective, representation in investigations and before the AMCU, and for compliance matters. Recently the firm represented PZ Cussons,a major manufacturer of personal healthcare products and consumer goods, on Ukrainian law matters relating to the divestment of the client’s laundry business to Henkel AG. Nataliya Nakonechna and Olga Belyakova are deeply involved in the practice, while Olexander Martinenko,senior partner, year over year receives peers’ praise for professionalism. Avellum Partners is regularly seenhandling competition work in terms of M&A transactions, both global and domestic, restructuring and investigations. The recent practice included obtaining merger control clearance of two biggest cement manufacturers, Lafarge and Holcim, in connection with their USD 50.1 billion merger of equals; advising Foster Wheeler Group in its acquisition by AMEC plc; obtaining preliminary rulings of the AMCU in connection with internal restructuring of Bayadera, a major Ukrainian manufacturer of alcoholic beverages and Ukrainian retail chain. Another notable highlight is representing the Karavan retail chain in a cartel investigation commenced by the competition authority against major international and local retailers concerning information exchange between them via a global marketing research organization. Partners Mykola Stetsenko and Kostiantyn Likarchuk are team leaders. Clifford Chance has a solid track record of being a Ukrainian competition law counsel on multijurisdictional M&A and corporate arrangements. 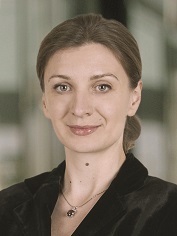 Throughout 2014 the team, as led by Ulyana Khromyak, provided legal advice to COFCO Group on antitrust issues with respect to the acquisition of a control shareholding in Noble Agri Limited and Nidera Capital B.V.; advised Abbott Laboratories Inc. in antitrust issues in connection with acquisition of Veropharm; assisted L’Oreal Group with respect to acquisition of Fipal S.A.S., a holding company to Decléor group, and Carita International S.A. Compliance issues are another dimension of the team’s work. Benefiting from its international reach, Dentons competition group in Ukraine works in close cooperation with other members of Dentons global EU, competition, trade and regulatory group. The Kiev team, as led by partner Volodymyr Monastyrskyy, is regularly instructed for clearance filling in M&A deals, commercial arrangements relating to antitrust requirements, in particular distribution and sale matters. An industrial breakdown of clientele encompasses agribusiness, oil and gas, pharma, hospitality, etc. Egorov Puginsky Afanasiev & Partners Ukraine (EPAP Ukraine)has a strong track record in assisting clients in secure merger control approval for complex transactions. Selected project highlights include assisting H2 Equity Partners with obtaining AMCU merger clearance for the acquisition of Oerlemans Foods from global food company Vion; advising Intersystems Holdings in its acquisition by AGCO; acting for Richmont Holdings in connection with obtaining merger clearance for the acquisition of Agel Enterprises. The practice is led by partner Oksana Ilchenko. 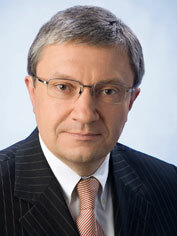 Counsel Oleg Boichuk is another key practitioner. Under the leadership of acknowledged managing partner Alexey Kot, theteam of ANTIKA Law Firm is a point of reference for peers. It was recently involved in obtaining a permit for concentration in connection with acquisition of shares of a champagne plant by a company specializing in the import and trade of high quality alcoholic drinks. Recent projects carried out by Ilyashev & Partners were centred on merger clearance work, and included advising PZU Ukraine in acquisition of four insurance companies (Poland, Lithuania, Latvia, Estonia); BTA Bank (Kazakhstan) regarding acquisition of a significant part of BTA Bank Kazakhstan and Oranta by Kazkommercbank and private investor. 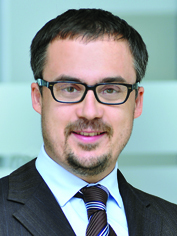 Oleksandr Fefelov is the head of the antitrust and competition practice. Gvozdiy & Oberkovych was seen in several assignments on obtaining merger clearance and structuring M&A deals, as well as guidance on competition regulation. In particular, the merger control work consisted of advising the State Enterprise United Mining-Chemical Companyin transferring ownership rights for Volnogorsk Mining & Metallurgical Complex and Irshansk Mining and Concentration Complex as well as counseling Prime Bank in the sale of its assets to Fingarant Insurance Company. The practice is led by senior partner Sergiy Oberkovych and senior associate Iryna Kalnytska. Integrites, an international law firm headquartered in Kiev, has long-lasting experience of obtaining permits for concentration and concerted actions from the AMCU, dissemination of misleading information, compliance of a wide range of supply agreements. The team continues its advisory of Inkerman on legal grounds, requirements and risks associated with application of supply exclusivity agreements in Ukraine. The firm was involved in the sound investigation against a chain of supermarkets that were blamed for horizontal concerted practice. The past year’s workload stands out for adapting foreign antitrust compliance manuals to the Ukrainian legal environment. Selected clients include Minova Ukraine, Rockwool Ukraine, Ecopharm and others. 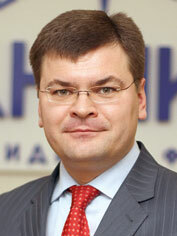 The practice is led by partner Oleksandr Aleksyeyenko. ECOVIS Bondar & Bondar Law Bureau is a vivid law counsel for such industries as aviation, sport, insurance, mass media and IT. Throughout 2014 the bureau acted on the following competition issues: advised Ukrainian — American Ltd EVROMIX with foreign investment on obtaining clearance from AMCU for intragroup merger; assisted PJSC Intercreditbank and Insurance Company Soyus-Agro-Polis in connection with Intercreditbank acquisition. Currently, the team provides legal support to Ukraine International Airlines on obtaining AMCU clearance for concerted actions related to cooperation between UIA and KLM Royal Dutch Airlines under a joint venture agreement. Oleksandra Nikitina, partner, is a team leader. With a niche standing in the pharmaceutical industry, Legal Alliance Company develops its antitrust and competition law practice as a priority. Recent cases concerned anticompetitive concerted actions in the sphere of medicinal products supply. An illustrative example is completion of the case with respect to anticompetitive concerted actions against Berlin-Chemi AG and its distributors. The team also protected a major German pharmaceutical company via an appeal to the AMCU on a TV advertisement containing violations in the field of unfair competition. 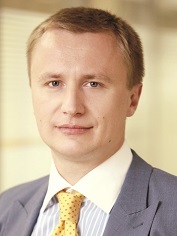 Associate partner Andrii Gorbatenko led this practice. Lidia Sanzharovskaya-Gurlach became a key specialist of competition law practice. Alexander Bondar and Alexander Yanev focused onpublic procurement. Merger-related work and investigations have been a key focus of Volkov & Partners. The firmrepresented the Ukrcement Association before the AMCU in connection with a permit for concerned actions; advised one of the largest oil and fat stevedors AGRO Klass and FLASK in the course of an investigation concerning violation of competition laws. Roman Drozhanskyi and Andrii Zablotskyi3 worked on the projects. WTS Tax Legal Consulting LLC advised on antimonopoly issues of cooperation between large seed suppliers and grain traders; provided competition law advice in view of distribution and supply matters. Maxim Oleksiyuk and Alexander Shemiatkin are the lead partners. Gryphon Investment Consulting Group is an active counsel in the financial sector. The team acted as a legal adviser for a large financial and industrial group in Ukraine in antitrust matters with regard to buying a 100% shareholding in a factoring company. Helen Lynnyk, Igor Lynnyk and Anna Chepur are the core practitioners. Jurimex Law Firm is a resident in media and telecommunications sector. 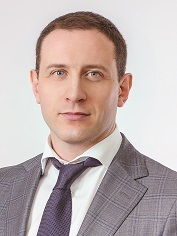 Its team, as led by Yuriy Krainiak, acted for Novyny TV LLC intheacquisition of control over a company holding a license in digital multiplex DTT and license for satellite broadcasting. Another project was led by Marina Slobodnichenko and includedadvising Boarding House Pribrezhniy as to the points of correlation of Ukrainian and Russian antimonopoly legislation in alienation of corporate rights to an enterprise in Crimea. In 2014 Law Offices of OMP provided general complex support for the Novus supermarkets chain in connection with investigation by the AMCU on the retail market. The six-lawyer team is guided by Yaroslav Sverdlichenko. The recent work highlight of KPMG Ukraine coveredadvising one of the leading marketing and wholesale companies involved in sales of household appliances on vertical restraints arrangements in Ukraine; assisting on share acquisition of the largest manufacturer of sack paper and paper sacks in Russia and the largest producer of paper sacks in Europe. Lavrynovych & Partners has profound experience of advising foreign business on Ukrainian merger control requirements. In 2014 ILF (Inyurpolis Law Firm) provided coverage of the antitrust aspect of a large drugstore chain in connection with expansion retail on the basis of communal pharmacies. Kharkov-based Shkrebets & Partners recently supported a large multidisciplinary private clinic, Dr. Alex, on issues of compliance with competition legislation. Alexandrov & Partners acted on merger control instructions andobtained AMCU permits for the concentration of the Trigon Group of Companies and a famous Finnish-Estonian holding. 2 On 18 March 2015 Sergiy Shklyar was appointed Deputy Minister of Justice of Ukraine for the Enforcement Service. 3 In February 2015 Andrii Zablotskyi joined Sayenko Kharenko.